Dunfermline MSP Bill Walker has pledged to help ensure everyone living with multiple sclerosis (MS) in Scotland has access to the right treatment, care and support, regardless of where they live. This comes after the largest ever survey of people with MS found that this was not always the case. 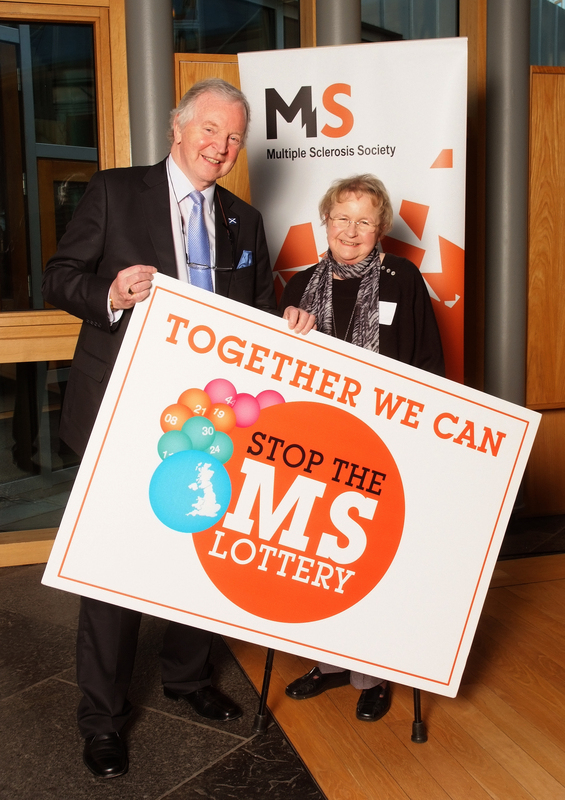 The MS Society recently showcased the results from their report, A Lottery of Treatment and Care, at a reception in the Scottish Parliament during MS Week. Mr Walker attended to show his support for the “Stop the MS Lottery” campaign and to meet people living with the condition. He said: “I’m pleased to support this important campaign. MS affects many of my constituents, and I am in contact with MS activists in west Fife who work extremely hard at raising awareness of this condition and who campaign for equal access to treatment. Christine Carlin, MS Society Director for Scotland, said: “There are over 10,500 people living with MS in Scotland and it is essential that these people can access the right treatments, services and support in order to manage their condition. Cat Johnson, who spoke at the event, was diagnosed with MS when she was 21 years old. “Living with a fluctuating condition like MS means that you never really know how you’re going to feel from day to day. It is absolutely essential that we can access the right treatments, services and support when we need them. “When all this is in place, people with MS can live independent lives. Without it, you’re struggling with the symptoms of your condition and the physical and social barriers that stop you from living your life to the full. For more details about the Campaign visit www.mssociety.org.uk.